Hey everyone! This week's Avery Elle projects use the new set, Circle It! 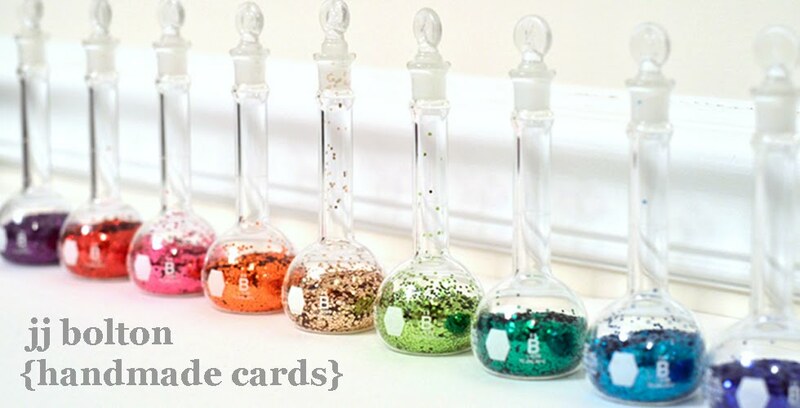 I love the BIG and BOLD elements in this set. It makes it so easy to pull together projects in only a few steps (as you shall soon see!). As you can see, I mixed it up a bit by only using the large stamp on the top. 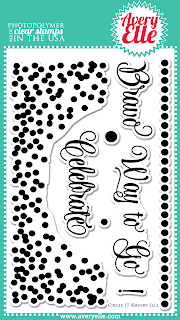 On the bottom of the card, I used the single dot stamp to create by own pattern. It's a little hard to tell but the sentiment is heat embossed in gold and the "confetti" is embossed in a glittery gold powder. 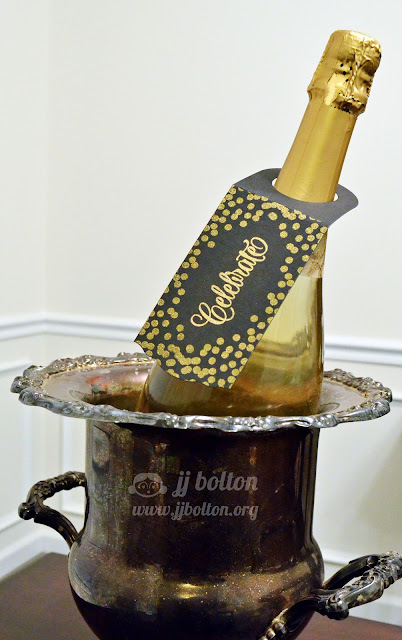 In person, it really sparkles:) (The number stamps are from the Count on It set) I even made a matching bottle tag with the Cheers die! Pay no mind to my tarnished bucket;) I'm definitely no Martha. That's it for me today! 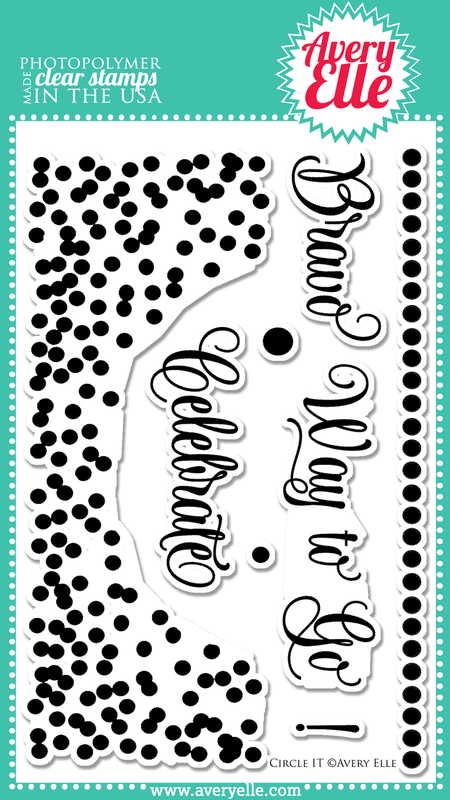 Click over to Heather's blog to see the super cool card she has to share! Gorgeous card JJ. Love it! 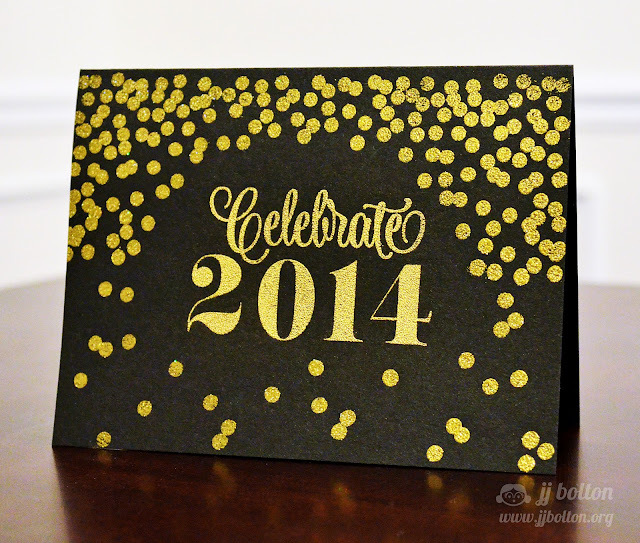 I love all the gold dots against the black background...so fun and festive! As always, your card and tag are amazing, JJ! LOVING the card! I love how you did the gold on black...it really makes the card pop!